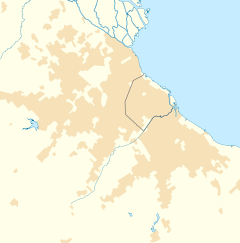 Berazategui is a toun in Buenos Aires Province, Argentinae, locatit tae the sooth-east o Quilmes. It is the heid toun o the Berazategui Partido. It is pairt o the Greater Buenos Aires metropolitan aurie. The ceety haes the nickname "Capital Nacional del Vidrio" (Naitional Caipital o Glass), acause o the heich concentration o glassmakkin industries in the aurie. This page wis last eeditit on 27 Dizember 2018, at 23:13.